▶ Split Videos - Split videos of any length into segments! 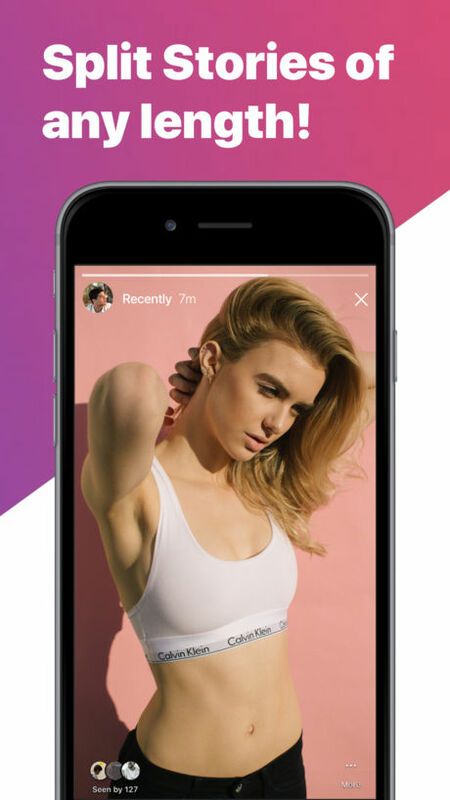 ▶ Shareable Segments - Quickly share split video segments to Instagram Stories! ▶ Integrated Camera - Easily record videos from within the app & then split! 1) Import a video of any length or record a new one with the integrated camera. 3) That's it! 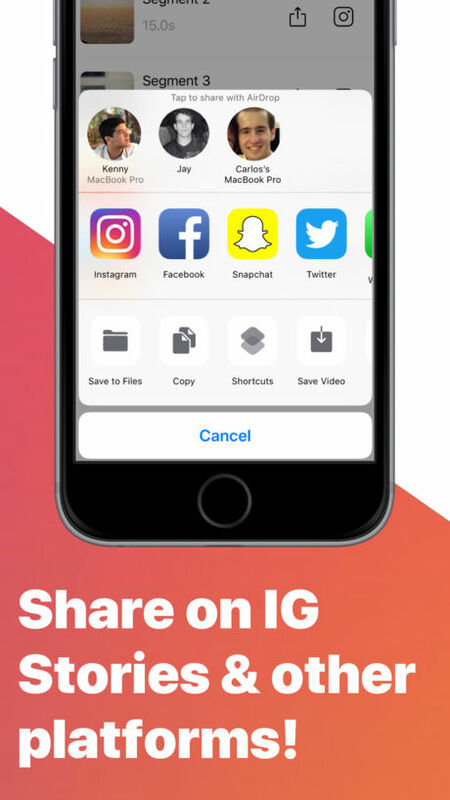 Share the segments to your Instagram Story or any other platform! Coming Soon: Add music & gifs to your stories. Instagram™ is Instagram’s trademark. SplitStories is not affiliated with Instagram, Inc.
- Free trial: 3 days. No commitment: cancel anytime with no charge. - Price: as low as USD$1.99/month. - Renewal: subscription automatically renews unless auto-renew is turned off at least 24 hours before the end of the current period. - A payment of USD$1.99 will be charged to your iTunes account within 24 hours prior to the end of the free trial period. 1. Go to Settings > iTunes > AppStore. 3. Tap View Apple ID. You might need to sign in or use Touch ID / Face ID. 5. Tap the subscription you want to manage. 6. Use the options to manage your subscription. - Any unused portion of a free trial period will be forfeited if you purchase a subscription to that publication.